The cinderblocks could still use a sealant. The roof needs a repair. The rails need staining. There’s still a lot to be done out at LaGrange Observatory, and the punch list seems like it doesn’t get any shorter. But one thing is for sure: “telescope” can now be checked off the list. 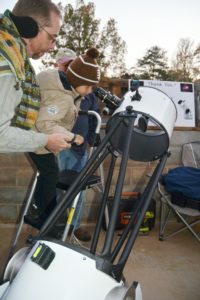 Nineteen people came to the First Light telescope unveiling at LaGrange College Site Park on the tenth. 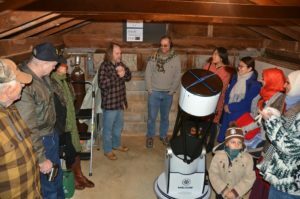 Y’all, it was cold out there, and Leighton is further out than a warm, cozy Starbucks, but nineteen people still came out there to eat donuts, drink coffee, and peer through a new telescope at thousand-year-old photons. There are a few additional notes that deserve attention. One, our unveiling was visited by people from four different countries: the United States, Canada, Yemen, and China. Another: First Light brought more local amateur astronomers to the event. 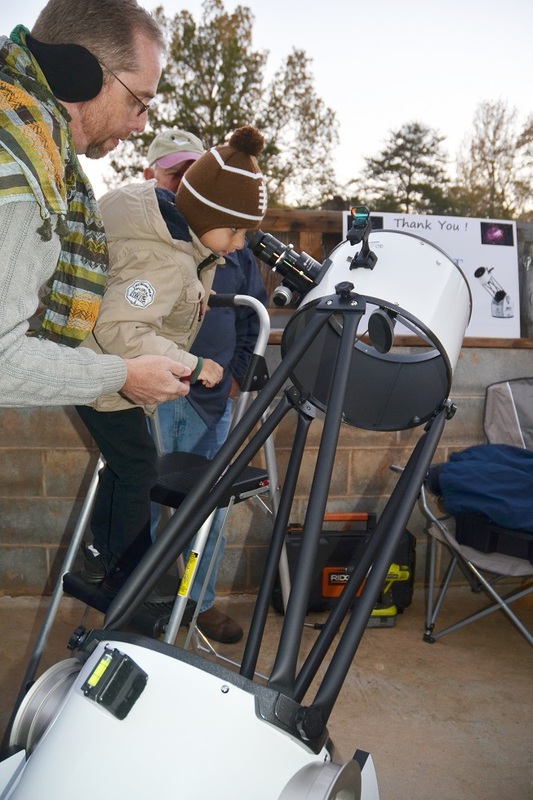 To our new stargazers friends, we hope to see more of you very soon! There’s a third thing that deserves a huge accolade: The LaGrange picnic pavilion has two fireplaces! We cannot describe how wonderful it was to warm ourselves while waiting for twilight, only to walk away from the fire toward the observatory, to warm our souls by looking at the stars. The most important thing that we cannot reiterate enough: Thank you to the Walmart Foundation for your generous grant to the LaGrange Living Historical Association for making this event (and all of the subsequent public events to follow) possible. To our fellow passengers on Space Ship Terra that came to enjoy the night skies with us, we are so grateful you came to visit the observatory. We hope you take advantage of every opportunity to stargaze, no matter where you may roam. Shoals Astronomy Club would like to say, السَّلَامُ عَلَيْكُمْ‬, 欢迎, and “Bienvenue”!